It’s one thing to talk about something and another to give example of the message. The act of Jesus washing the feet of his disciples (a word that means students) was a striking example of humility, hard to be missed in apostolic times. We might ask ourselves today what we would be willing to do for another – any other – in an act of selfless service, that is, an act where we expect no return and yet are willing to pour ourselves out simply because love impels us. In our busy and often competitive society there is much to be gained by taking opportunities to act on what we say – and truly believe – are the principles of gracious living. 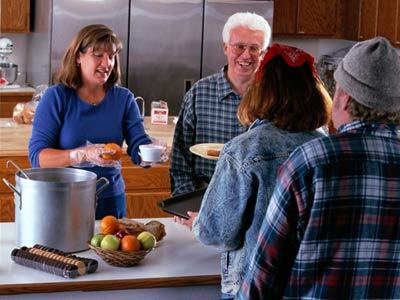 When we work at a soup kitchen, do we sit down with the clients to share a meal? Even further, do we look into their eyes for recognition of ourselves and of God? When we step back and hold a door for someone, do we bow internally for the opportunity to serve the presence of God which precedes us? We can each find ways to understand what Jesus is saying to his disciples this morning that will help us internalize the reality that lies deeper than the words. Still in San Francisco, California for a for a short visit with my brother, I read the following from today’s lectionary: “All you nations, praise the Lord!” That is the repeated refrain (Ps. 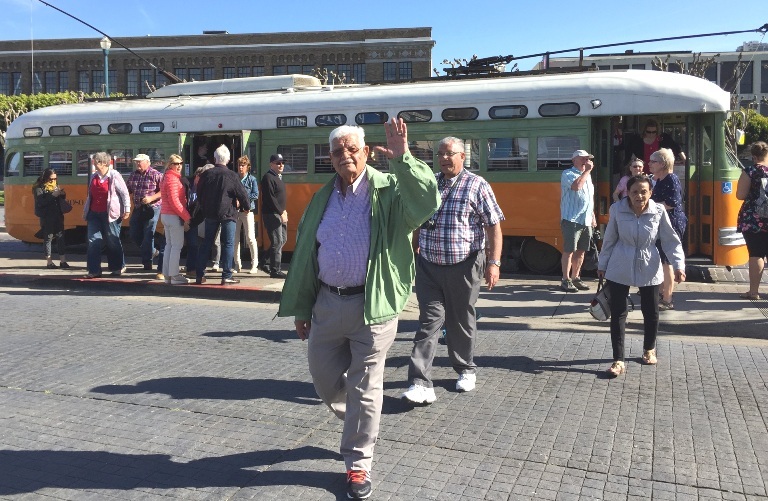 87) which is followed in the first verse by: “They come from Babylon and Egypt, as those who know the Lord” and I am immediately thrown back to late yesterday afternoon at the end of our trolley ride to Fisherman’s Wharf. 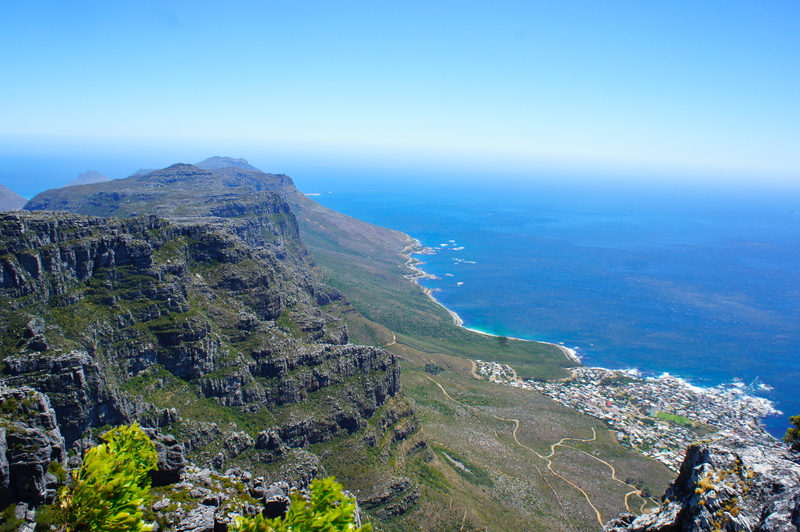 It was an experience – the jammed full car with the joyful driver who kept ordering people to “Stand back! Door is closing!” – so I turned to take a picture as we walked away. In the frame was an oldish man who immediately began to wave and smile, so I took the picture and thanked him for the wonderful addition he was to the image. He told us he was from Egypt and said that we should come to visit and he would take our picture there. We laughed and promised to look him up should we ever have the good fortune to visit. It was an enchanting thought and lovely moment. There were crowds of people of many descriptions walking around enjoying the day and we seemed far away from any stress or violence. I will remember that today as I am thrown back into the world of CNN and other news agencies that today are concerned with rioting in Baltimore and intense grief in Nepal. We are one world and I need to think of and pray for my brothers and sisters everywhere with gratitude for the camaraderie that can be found anywhere and for those in distress both far and near. My prayer continues to be that all may be one and that my participation will add to the unity by walking always toward deepening love. On this morning of “return” to this blogging practice, I feel as if the lectionary choice of Psalm 42 was chosen just for me. As the hind longs for running streams, the psalmist sings, so my soul longs for you, O God. When shall I go and behold the face of God? Send forth your light and your fidelity; they shall lead me on and bring me to your holy mountain, to your dwelling place. I spent the past four days on a high mountain in the hills of California, overlooking the Pacific Ocean, at a Benedictine monastery that was as representative as any place I can imagine of the dwelling place of God. Three times a day our group (12 people) joined the monks to chant the psalms and prayers of the liturgy of the hours, gathered again for Eucharist and twice a day for 90 minutes of deep conversation about our desire and willingness to follow God’s Spirit in the living of our lives. Outside of those times we were in total silence and solitude, taking our meals in our “cells” and basking in the beauty that is God’s glorious work of creation. Speaking of cells, there was no cell phone coverage or internet access on the mountain – only a land phone for emergencies. We were totally in God’s hands and at God’s disposal. The book of the Acts of the Apostles, which is read in the Easter season, is filled with the enthusiastic ministry of those who either had experienced Jesus or had caught the Spirit from those who had been with him. This morning there is a fantastical story – one of many in the book – which mimics that of the disciples on the road to Emmaus after the Crucifixion of Jesus when he appeared to them and explained the Scriptures and then disappeared when “they recognized him in the breaking of the bread.” In this story (ACTS 8:26-40), the apostle Philip is traveling in the desert on the road from Jerusalem to Gaza when an angel of the Lord tells him to catch up to a chariot in which rides a court official from Ethiopia. 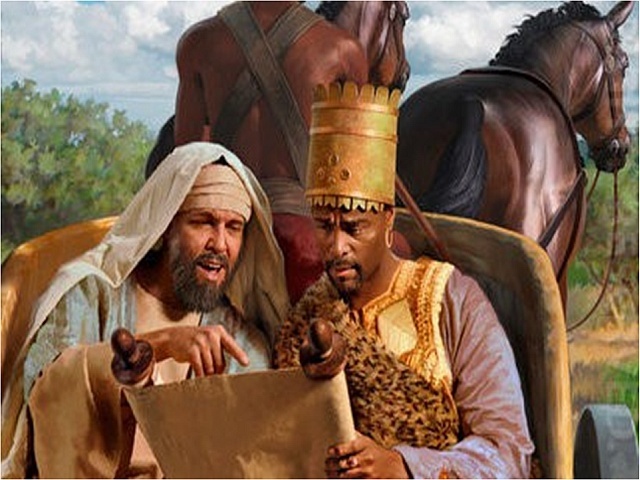 The official is reading the book of Isaiah about the “suffering servant.” Philip does what he is told, stops the chariot and asks the man if he understands what he’s reading. His answer is a good question: “How can I unless someone instructs me,” whereupon Philip opens the meaning of the Scriptures to him, referencing Jesus and what happened to him. The rest of the story includes the Ethiopian asking for baptism. Philip fulfills the request since they happen to be passing some water, and Philip then is “snatched away” by the angel of the Lord, leaving the man to tell the story just as he did back in Jerusalem. Jesus had promised his disciples that they would be able to do as he had done – “and more besides” – and we have only to suspend our rational, judgmental, 21st century thinking to get in touch with the power of faith that fairly jumps from every page of the book of Acts. Today I am reminded of the second side of the coin necessary for the miracles written about to be effected. Not only is the power of the Spirit present in the “instrument” of God, but the one who is to be healed or converted must believe that it is possible. That’s why I like the question of the Ethiopian this morning. He needs to understand what is being offered to him and then to accept the offer because his heart has been touched. I am in California this morning, getting ready to attend a four-day “think tank” with students of “the wisdom way” and a group of wealthy people who are committed to responsible use of their resources. They have called us to the Camaldoli Benedictine Monastery at Big Sur to reflect on the intersection of wisdom and money and how that might impact their decisions about projects to undertake because their “heart-knowing” will be engaged. Surely we will need to deepen our mutual understanding of what we each bring to the table in order to move toward this heart-knowledge for our mutual benefit. I am confident that the Spirit of God is living and active in our day, just as it was in the first century CE and I am hopeful that in the silence that wraps around and informs the monastery we will hear God’s message to us. One thing about the monastery that will be helpful for the conference but not for communication is that there is no internet or cell service there. So there will be no blogging here after today until Monday morning. Perhaps a good substitute is to read sections of The Acts of the Apostles each day! In this middle day of the Third Week of Easter, I read a morning reflection that will be my guide for the day. 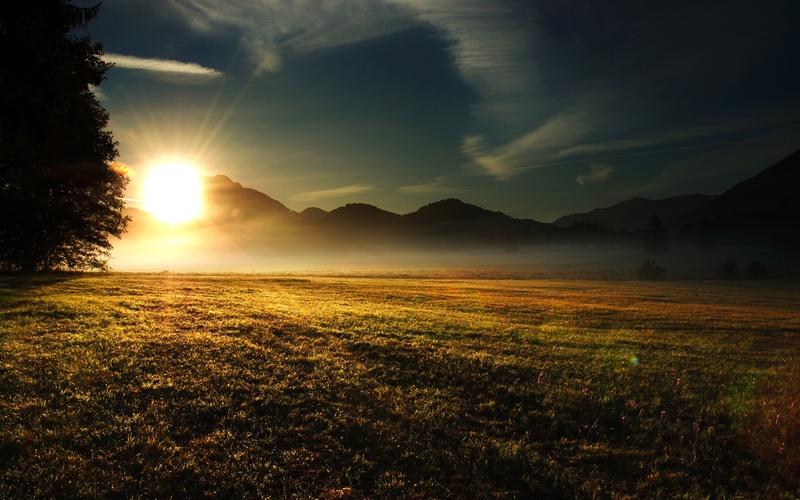 In Seven Sacred Pauses: Living Mindfully Through the Hours of the Day author Macrina Wiederkehr writes that morning is a call to our own resurrection, and so we reflect on what needs to rise in us. On some days we may need to awaken to joy. Or perhaps we need to pray that a positive attitude for our work will be resurrected. Sometimes it is a positive attitude for a particular co-worker, an aging parent, an alienated spouse, a troubled teenager or a colicky child that is needed. If you prayerfully look into your heart, you will probably know what kind of resurrection needs to take place to honor the Awakening Hour. 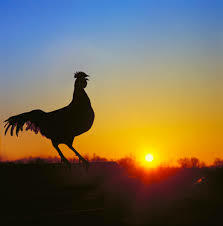 What needs to rise in you today? It was difficult to go to sleep last night. Thunder and lightning the like of which I have not experienced in quite some time accompanied wind and torrential rains, washing away the last of winter. It seemed to last for hours. It’s still raining a little this morning but quietly; all that’s left to do is the clean up of branches strewn everywhere around the yard. 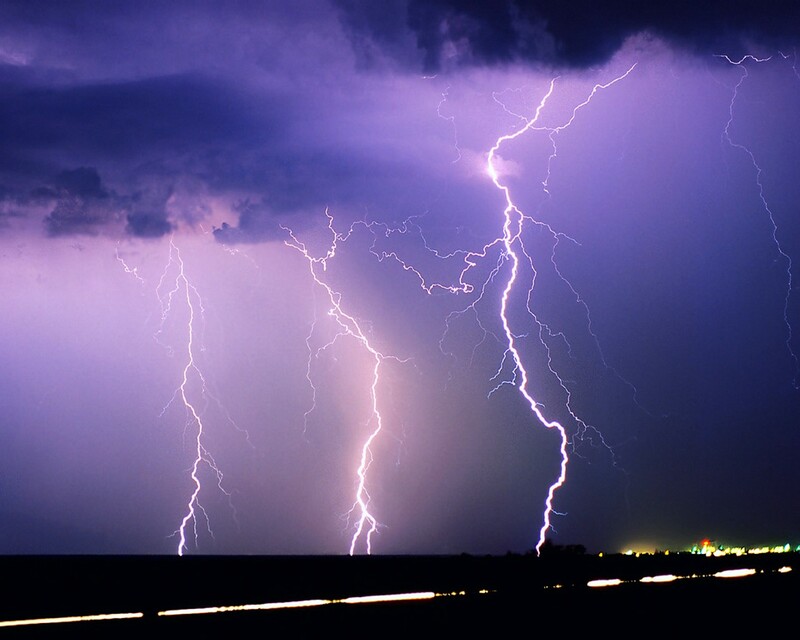 Thanks to my father who taught us to revere storms, counting the seconds between lightning and thunder to determine the storm’s distance away from us, I am never afraid of their power or potential for destruction. I am aware but never afraid. I am reminded of that gift of confidence in a short section from this morning’s responsorial psalm (#31 – alternate translation) that sings: So come then, God, deliver me. You are my solid ground in sinking sand, a place that’s firm to plant my feet and stand. You are for me a shelter safe, a guide upon the path of life. So today my prayer is two-fold. I pray for those who have experienced great loss from storms and need to have their trust in God and in life rebuilt. Smiling, I pray in gratitude for my father and for people the world over who are like God in their ability and willingness to be a safe shelter for others in times of need. The gospel acclamation gives a clue to the message of Jesus this morning, saying: One does not live by bread alone but on every word that comes from the mouth of God (MT 4:4). The day after they had eaten their fill from the miraculous multiplication of the loaves and fishes, the crowd could not find Jesus so, knowing that many boats had crossed the Sea of Galilee (not a very far distance) they, themselves, got into boats and found him in Capernaum. When they asked how he got there he didn’t answer but rather said to them, You are looking for me not because you saw signs but because you ate the loaves and were filled. Do not work for food that perishes but for the food that endures for eternal life. (JN 6). It’s interesting to follow the 6th chapter of John’s gospel. 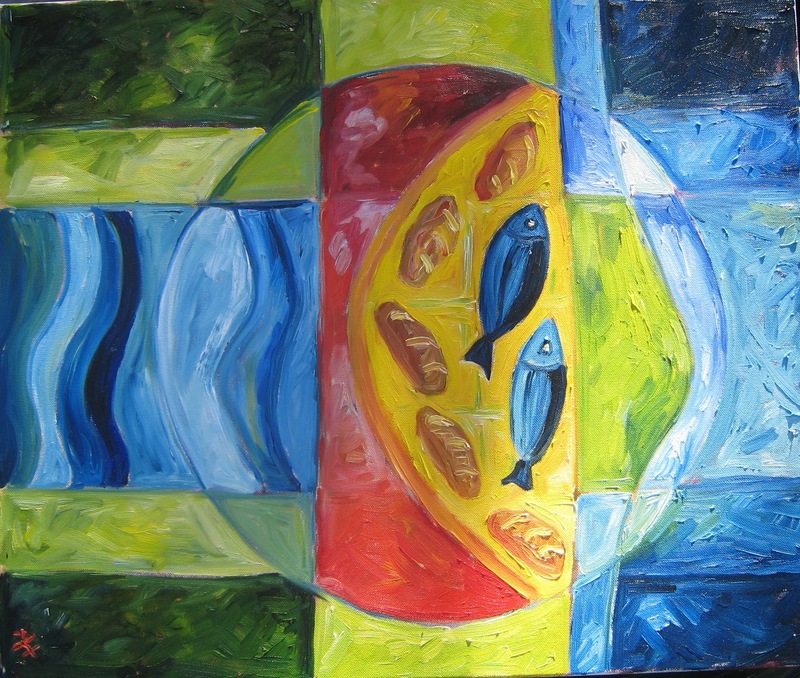 First we have the miracle when great compassion for the hungry crowds has Jesus creating a meal for 5,000 (plus women and children) out of 5 loaves and 2 fishes. The next day when they come back for more he seems to be remonstrating with them in what he says (quoted above). Maybe he’s just tired of being pursued and looking for a little respite at home. It does sound like he slipped away purposely the night before. I think, however, that he is just pushing them to go a little deeper. It is important to give people the necessities of life before trying to evangelize – missionaries know that – but once people have been fed and provided for on a physical level, it’s time to “go for the gold” in living a spiritual life. I was thinking how beneficial it has been for me to write this blog almost every day. Reflecting on the Scriptures in this way has sharpened my perception about the universal nature of the messages I find there and the application to daily life becomes clearer with each reflection. Then I find in out-of-the-way places “the word of God” which calls for a response from me. I have become more hungry for that word and believe now that I cannot live without it. It is indeed this food that endures for eternal life. Soon after I responded to the wake-up call on my alarm this morning, the sun appeared on the eastern horizon. It seemed early to me but since I am sleeping on the 4th floor at our Motherhouse in Latham, New York I was not really surprised as the higher you go, the earlier it appears. Within fifteen minutes it was fairly blazing. Not so with the internet. Access is often not available that high up in this house. As I descended the stairs to the ground floor I found myself conscious (unusual at 6:15AM!) of the act of downward motion and opened myself to an analogous inward movement of spirit. I arrived at the computer room and accessed the Sunday readings with a ready heart, sunshine blazing to my right. I smiled as I read the psalm refrain, so perfect in the moment: Lord, let your face shine on us! I will take that line as a sunny reminder into our meeting today, accompanied in my heart by the benediction in today’s gospel (LK 24), given to the disciples by Jesus for all time: Peace be with you. 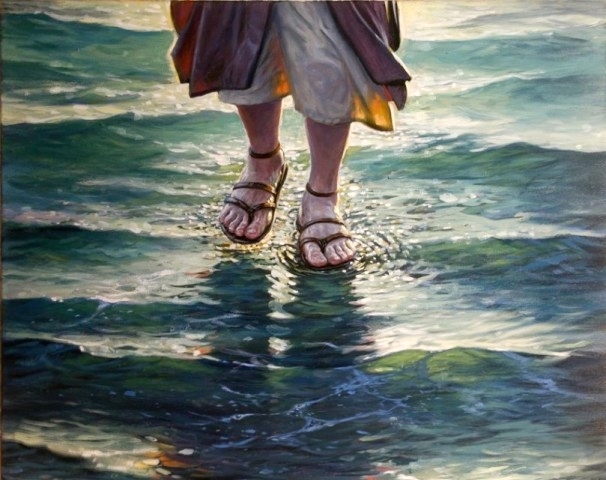 Today the gospel is John’s (brief) account of the storm at sea (JN 6:16-21). One might call it “bare bones” as there are simply the facts that as the disciples were rowing, the wind came up, followed by the appearance of Jesus walking toward them on the water who said, It is I; Do not be afraid – at which point everything calmed again and they rowed on. English teachers might call that a good synopsis as it contains little narration of the heart of the event which seems to me to be the terror that was most certainly felt by the apostles. The crux of it all, however, were the words of Jesus when he told them not to be afraid. I find it interesting that he didn’t say, “I’ll save you!” or “It’ll be okay!” He simply said, “I’m here” as if (hopefully) his presence would be enough to take away their fear. We might ask ourselves if we can believe deeply enough in that presence in our lives that, when we are faced with our fears, we can rely on God to assure us, “I am here” and to know that for whatever we face, that is enough. 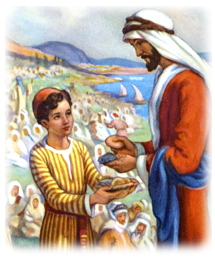 This morning as I read the story of the loaves and fishes (JN 6:1-15), I started thinking about the generous boy who didn’t hide or hoard his food but willingly made known what he had. And look what happened; he was the conduit for a miracle! Because of the internet, that kind of miracle can happen often now. If someone (and it seems even more engaging if it’s a child or teenager) tweets about a cause, the result is often stunning in money collected or people joining the effort. It’s heartwarming to read those stories.